Phyllis Worthley has been in the education world for 40 years as a teacher and guidance counselor. Four years ago she noticed that there was a need to help families and students make informed decisions about college, the military and what careers might be best for their futures. The new retiree is ready to help clients from sixth grade to high school graduates with College Knowledge LLC, college guidance counseling equipped for success. Whether it’s the military, a 2-year school or a 4-year school, Worthley will help them find the right fit and transition them into the next step. 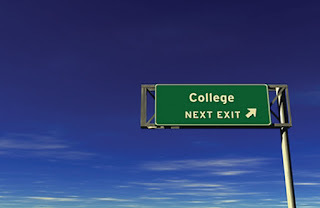 Most of the students need help with college planning. “If a child is not focused on themselves, it’s harder. All the parent knows is that I want my kid to go to college,” she said. The colleges need to fit the family as far as budget and a good school. “It’s not the best school unless it’s the best fit for your child,” Worthley said. She uses many tools for narrowing down college searches, the first being College Board.org, where the students can do a demographic search for schools that meet what they think they want. She gives the parents and the students a check-off list about their fears and concerns moving forward. After that Worthley checks out the college to make sure it offers the right major, matches transcripts and makes sure that the student and family step foot on the campus before making a decision. “They don’t go to the college if they haven’t stepped on the campus,” she said. Worthley has her bachelor’s degree from the University of Maine at Presque Isle, a Masters in counseling from UMaine at Orono and a Certificate of Advanced Study from USM in leadership in computer education. She is prepared to help all students from the average to the ones who want to play Division I or II sports. She also guarantees at least one scholarship per child that can help cover the cost of her help, and she helps the families figure out financial aid and award letters from the colleges. “This is a very individualized service. They get what they need,” she said. Most students will meet with her once a week, then every other week and then once a month to check in. She helps with job applications, military selection and getting the students off to college. “I hold their hands right to the end when they get their acceptance and award letters,” she said. She helps families decipher the award letters and will even call colleges to see if they can do better than what they’ve offered. “One of her greatest strengths is staying abreast of the information while utilizing the available technology to organize and present accurate information while synthesizing the difficult transition process for her clients,” she said. “I so respect high school guidance counselors. They’re overwhelmed with testing and crisis’. I have no trouble working late at night or getting up early in the morning, she said. “Some get lost in the shuffle,” she added. It’s those kids she can help the most. “Community colleges are the best buy in the State of Maine,” she said. “In state Maine Schools have great offerings.” Community college tuition is a common theme in this presidential election, she said. The thought is to make community colleges free. 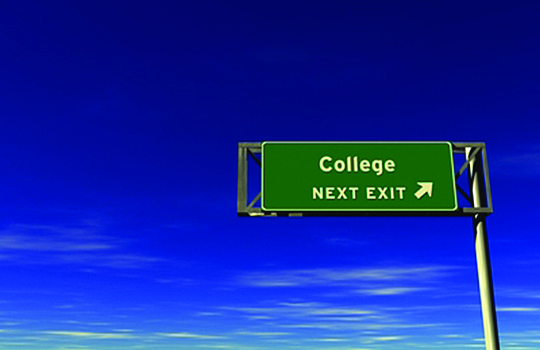 Some parents do not have a college degree or know how to prepare a child for college. “These people just don’t know there is something else,” she said. College Knowledge LLC offers time. That’s the biggest thing, she said. It also offers organizational skills and time management guidance. She teaches her clients how to keep track of everyday activities. Anxiety is also a problem she sees now. She can take the anxiety out of preparing for college. For middle school students, Worthley helps them choose their classes, encourages them to participate in activities and figure out how to help them build leadership skills. She also does personality work to help them get to know themselves, she said. The fees range depending on what work is needed. Worthley asks for half up front and then the second half when they are officially in the school, gotten the job or gone to the military. She meets at public places. She lives in Windham, but is willing to travel as she likes to work face to face with her clients. For more information on the company and services, visit www.collegeknowledgellc.us. She can be reached at pwpworthley@gmail.com or call 720-0598.